A contemporary twist to ethnic fashion. 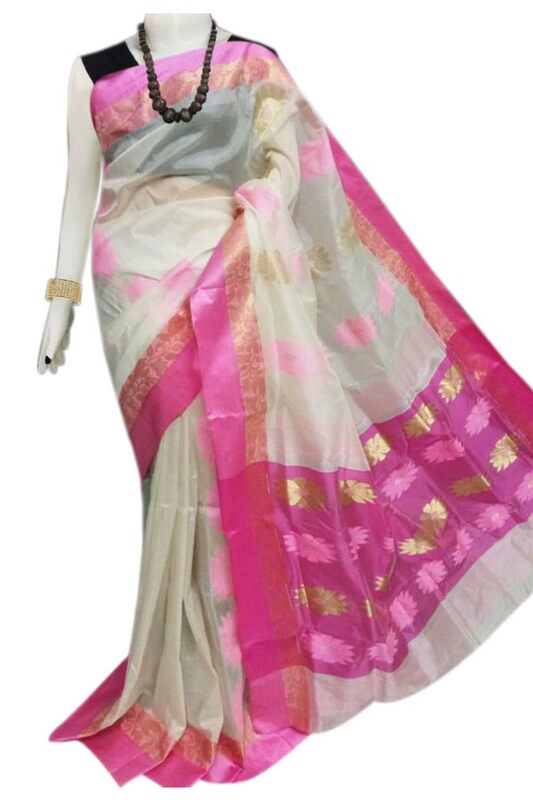 The body of the saree has a White color with contrasting Pink coloured border. The pallu has Pink colour with floral Jamdani patterns. This saree showcases sheer texture, light weight and makes for a delightful drape. A great fit for every season and all occasions.